In the 3D printing world, there is a good chance 2018 will be recalled as the year when scientists and researchers were first able to 3D print an artificial cornea using human cells. Although it is only a first step, this will one day help many people with cornea injuries to see again. 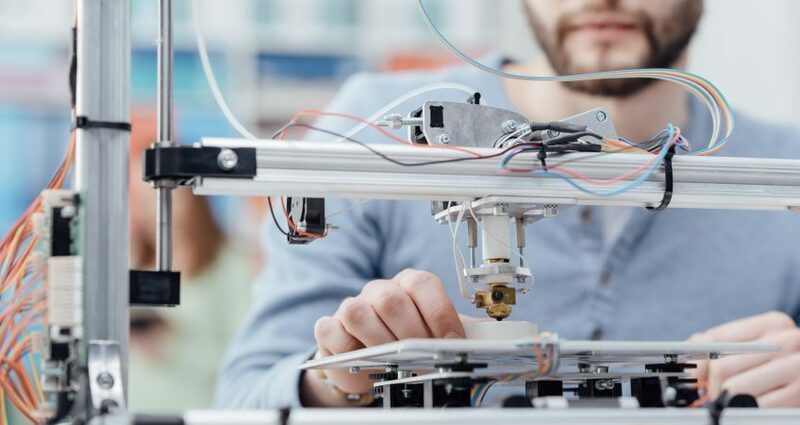 Apart from the big breakthrough scientific news, 2018 has been a sort of a turning for the 3D printing market, thanks to some recent trends, that are driving the adoption, also in the European context. Western Europe, among the broader region, is paving to way to adoption, as shown in the latest European Vertical Market Survey, with more than 17% of respondent organizations adopting or planning to adopt 3D printing in 2018. The growing interest is reflected also in the latest update of the IDC Worldwide Semiannual 3D Printing Spending Guide, where the total spending for 3D printing hardware, software, services and materials, for Europe, is expected to grow with a 15.3% compound annual growth rate (2017-2022) reaching $7.4 billion in 2022. Production, beyond prototyping. As highlighted by the spending guide, “prototypes” is the largest use case in Europe, as there are clear benefits leveraging on 3D printing technology in new product design and development, and to showcase large-scale products and project on a smaller scale (e.g. in the architectural sector). But recently some technologies and vendors have been focusing on features like speed, capacity and larger-scale sizes, to enable the use of 3D printing for production too. There are several examples, both in polymer-based and metal-based 3D printing, using new materials and techniques, like connecting multiple 3D printers or reducing post-processing finishing times. The manufacturing industry will remain the largest spender in this regard, with the automotive and aerospace subindustries being the biggest contributors, while the medical sector is expected to develop further in the next few years, with a projected 19.5% CAGR in the forecast period. New materials and colors. We’ve already named materials as one of the innovation’s drivers within 3D printing. The continues research of new materials will lead to new use cases and new application. In a similar way, the introduction of color solutions has been another huge turning point. Just think about the possibility of avoiding the need to color the printed object, often by hand. This also helps in enabling smoother and quicker processes. Industry-specific solutions. The acceptance and approval of these techniques by authorities in high regulated sectors is a key requirement to shift the application of 3D printing beyond prototyping as a production tool. We’ve seen news in the pharmaceutical sector, but other high regulated industry will be interested too: the spending guide underlines how in the forecast period, medical/healthcare-related use cases will show the biggest growth and, in 2022, dental objects and medical support objects will become the third-largest use cases in Western Europe. Another example, in an industry that is already a heavy 3D printing adopter like aerospace, could be managing the inventory part of an airplane, having the possibility of streamlining the parts production, not only the aftermarket parts, leveraging on 3d printing. This list comprehends only a few of the major themes, not to mention the printers’ prices dynamics in the market, that is further enabling the adoption of the technology, and the importance of services within the 3D printing ecosystem. In addition, deep dive on single industries would show some interesting drivers too for each use case. 3D printing technology is developing fast and a growing number of end-users are evaluating it or already adopted, especially for ad-hoc use. As the market evolve, driven by the above-mentioned trends, different use cases will find their way, pushing the adoption of 3D printing beyond prototyping towards production, paving the way to new opportunities, like the shift towards a local distribution, the implementation of an on-demand production, the reduction of unnecessary inventories and shipping costs. The disrupting effect will not be limited to the manufacturing industry but will affect others like medical and healthcare.